Provoc Lipquid Matte Lipstick is a range of highly pigmented, long wearing and kiss proof liquid lipsticks that dries matte and delivers an excellent colour pay off. Non-drying yet non-sticky, the formula is specifically designed to give you a comfortable feel throughout the wear time. Explore the entire range of Liquid Lipstick available on Nykaa. 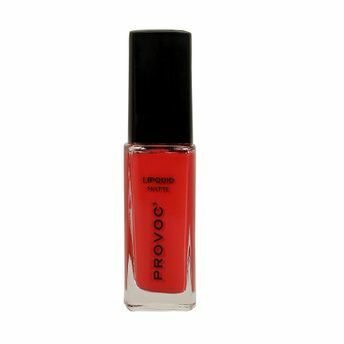 Shop more Provoc products here.You can browse through the complete world of Provoc Liquid Lipstick .Alternatively, you can also find many more products from the Provoc Lipquid Matte Lipstick range.